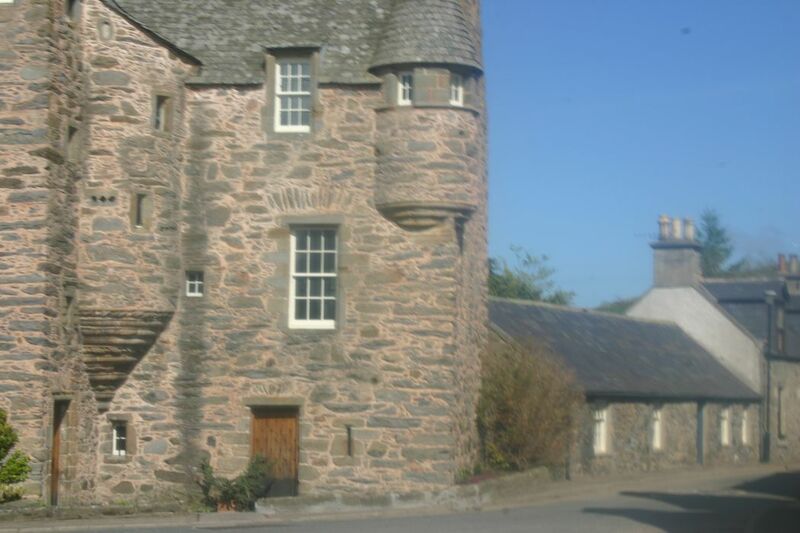 West Wing Fordyce Castle - Book your Accomodation today. The West Wing is the only self catering accommodation within Fordyce Castle and can sleep 4 people in a four poster double and twin bedroom. 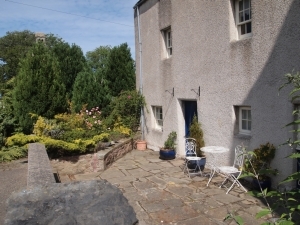 On the ground floor there is a dining kitchen and the twin bedroom with ensuite shower room. On the first floor is a pretty lounge, a bathroom with bath and shower over and the master bedroom.. 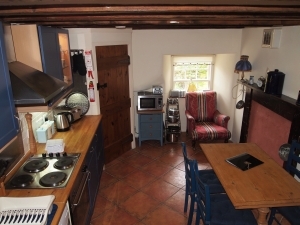 The cottage has electric eating as well as a feature flame effect electric fire in the lounge. All heating and electricity costs, bed linen, towels and tea towels are included in the price. There is also free complimentary Wifi. The West Wing of Fordyce Castle is the first 2 floors of the West Wing of Fordyce Castle. 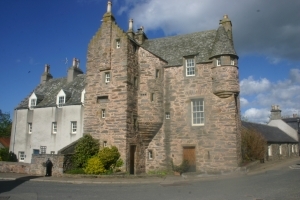 Fordyce Castle is situated in the centre of the medieval village of Fordyce. Fordyce Castle dates back to 1592. Originally it was thought that the West Wing was a 17th century addition to Fordyce Castle however during renovation work it was discovered that there were shot holes and an earlier roof line which showed that the first two floors were in fact of the same date as the rest of the Castle. The entrance door leads into a small lobby and to the left is the kitchen. This room has a window to the front. The Dining Kitchen is fully equipped with an electric 'cooker', fridge with a small freezer compartment, a microwave and a washing machine. There is a butler sink and ample storage. There is a table which can seat 4. 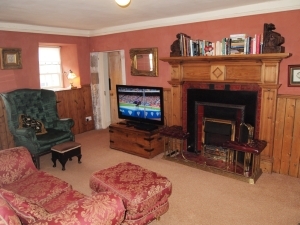 The room is full of character and a particular feature of the room is the Victorian fire place (not in use) and a large picture of the Earl of Seafield and his son the later Earl of Seafield both previous owners of the Castle. The twin bedroom has matching brass beds. 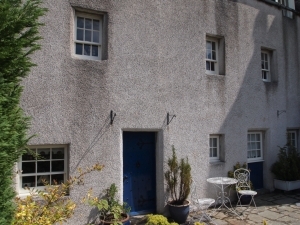 Again the room is full of character with beamed ceiling and two sash and case windows overlooking the front courtyard. A particular feature of this bedroom is the ensuite shower room. A very steep flight of stairs leads up to the lounge and first floor accommodation. The lounge is furnished with a double sofa and two easy chairs. There is a large television and DVD. There is a fireplace with a flame effect electric fire. 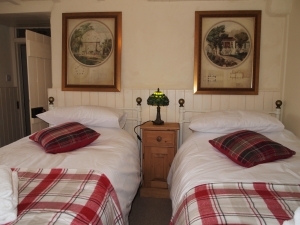 The room is both sunny and light from the two sash and case windows that overlook the front and the village but at the same time cosy with the red coloured walls. Bath Room The Bath Room has a free standing bath with shower over, a toilet and wash hand basin. The shower is an electric shower. 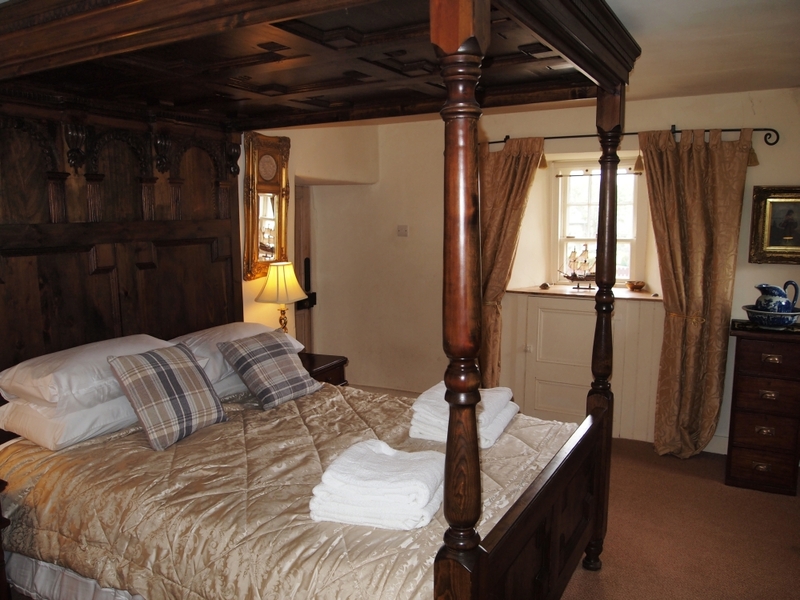 The master bedroom has a large 'four poster' bed which is a reproduction of a tudor four poster bed although of modern king size to the relief of our normal height or taller guests! The bed has pretty walnut bedside tables and fitted cupboards There is a window to the front and two windows to the side. The second window is of particular interest being the original shot hole. To the front is a courtyard with a pretty bistro table and 2 chairs.